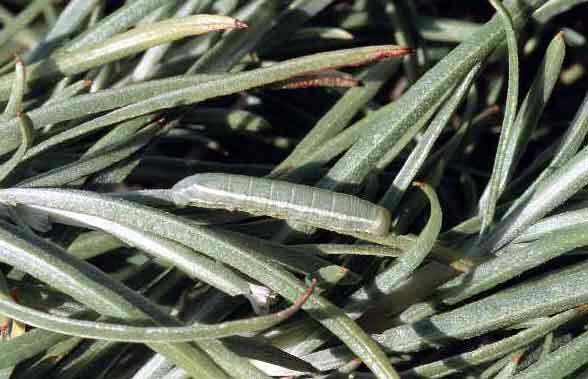 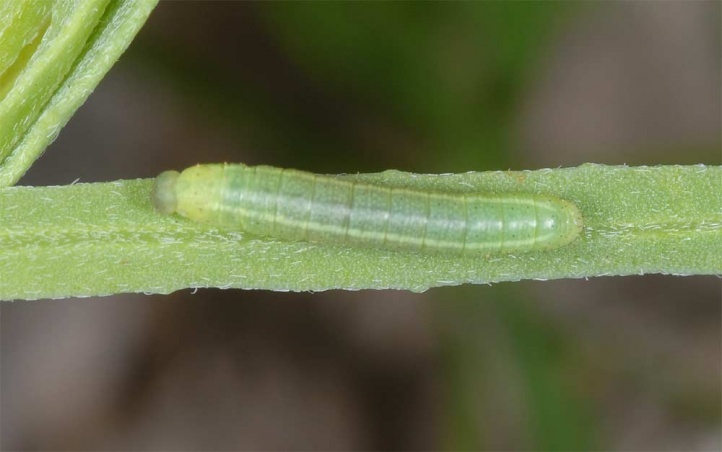 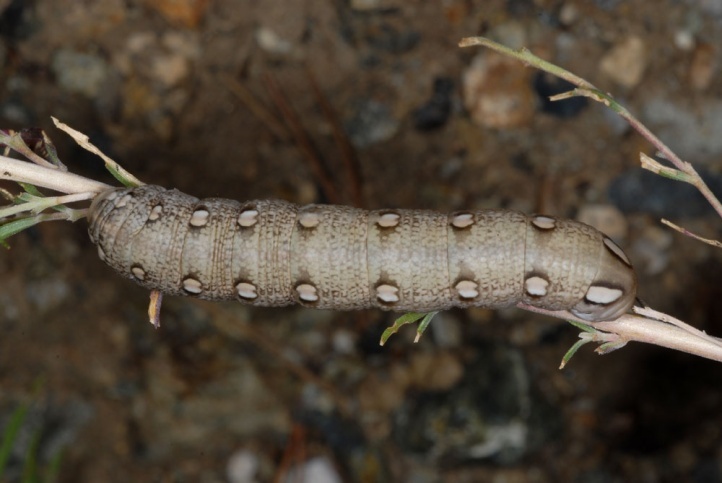 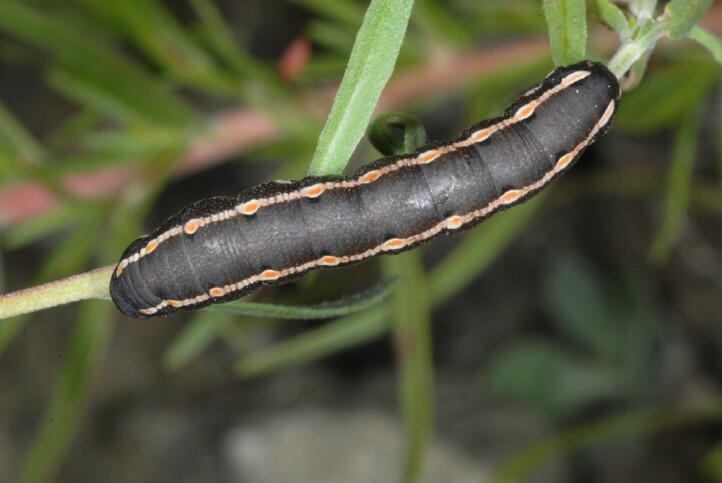 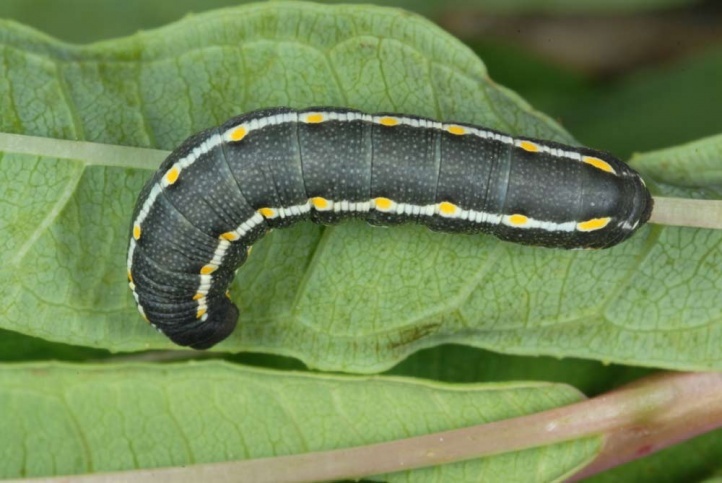 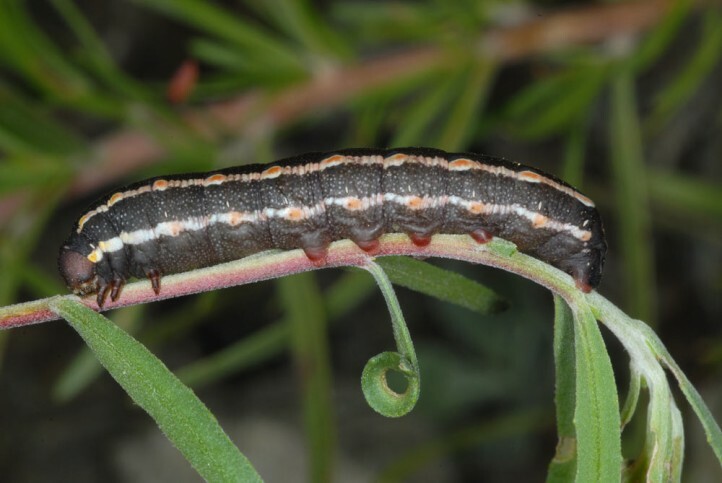 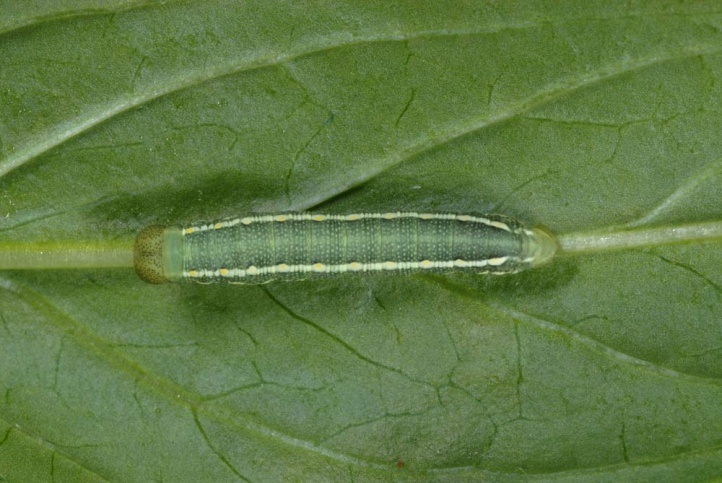 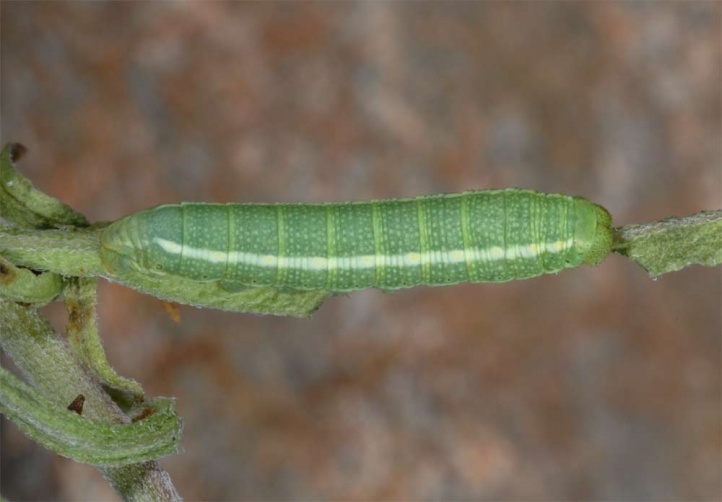 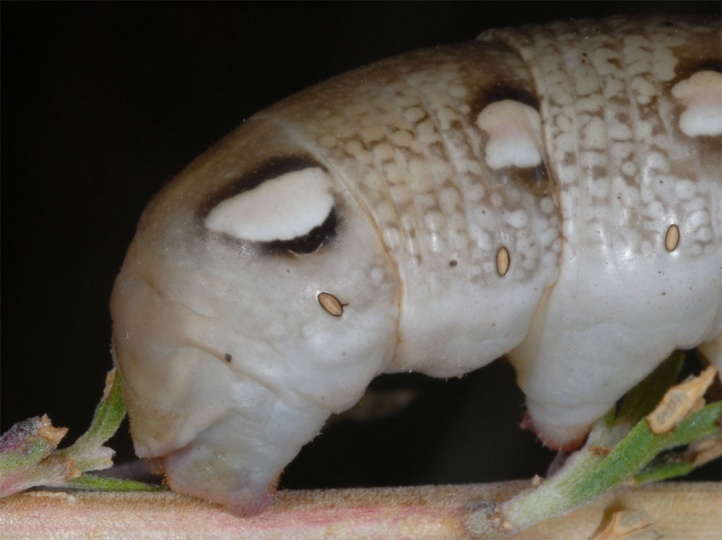 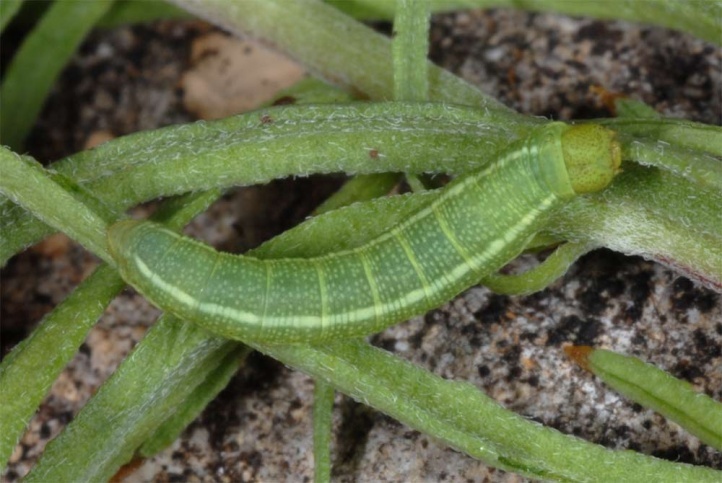 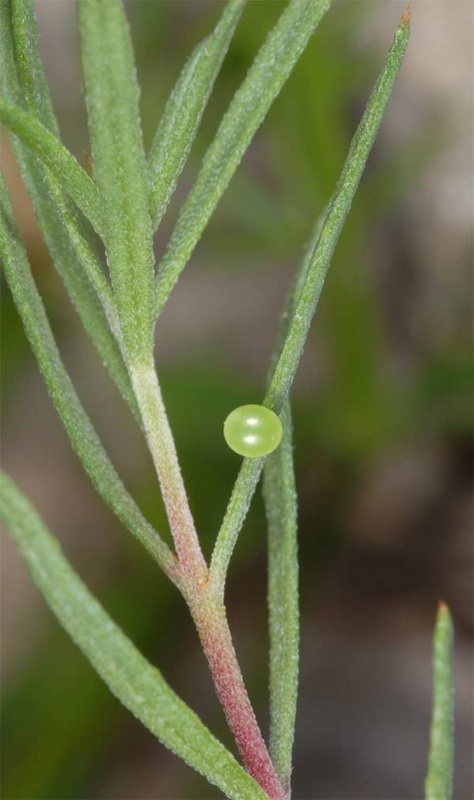 First of all, the caterpillar feeds on Epilobium dodonai and rarely also on further Epilobium-species such as Epilobium fleischeri in parts of the Southern Alps. 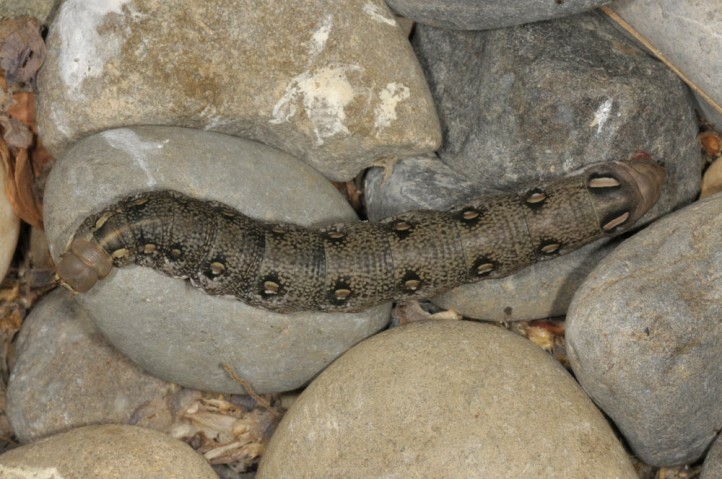 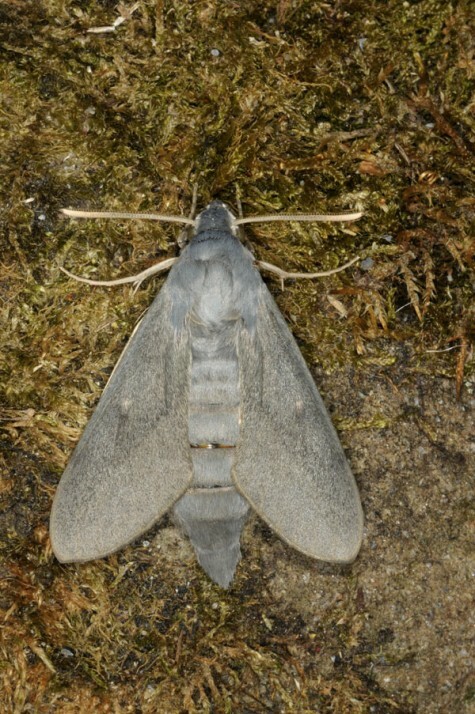 Hyles vespertilio is a typical inhabitant of gravel areas along undisturbed rivers that come down from the Alps. 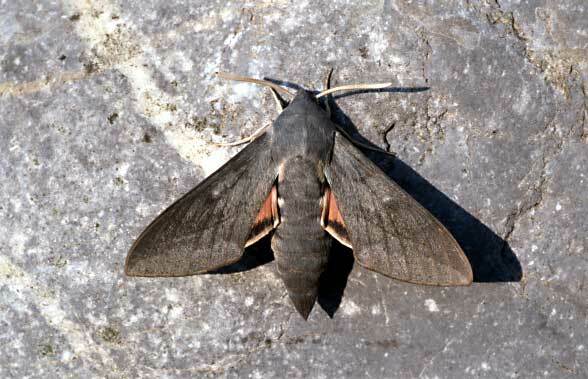 In Germany Hyles vespertilio used to occur exclusively in the southern Upper Rhine Valley, but is probably extinct there. 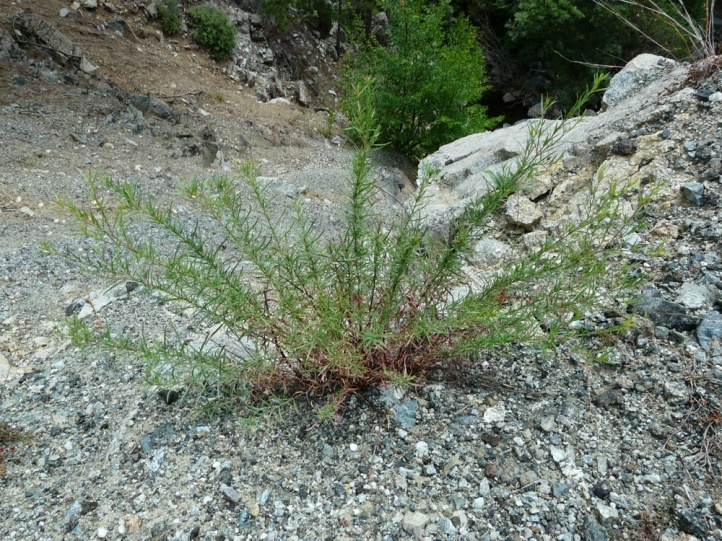 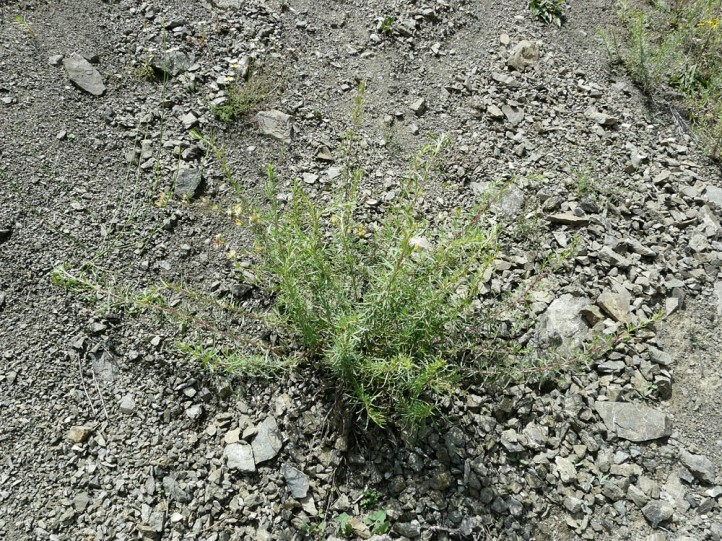 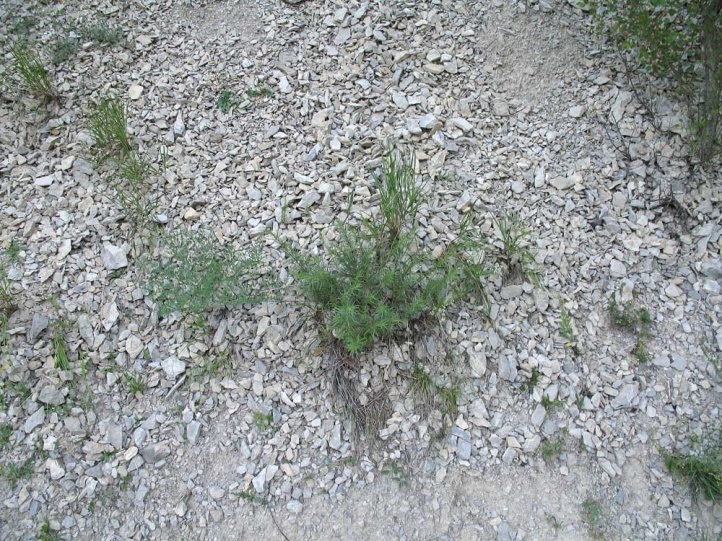 The populated gravel areas often bear single bushes of Hippophaes rhamnoides and willow (Salix elaeagnos and others). 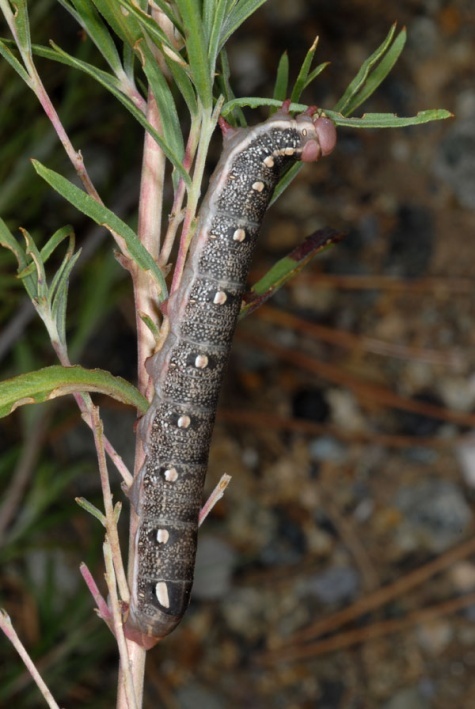 Besides, I also found larvae on Epilobium dodonai on gravelly roadsides and slopes in the Southern Alps up to about 1600m above sea level. 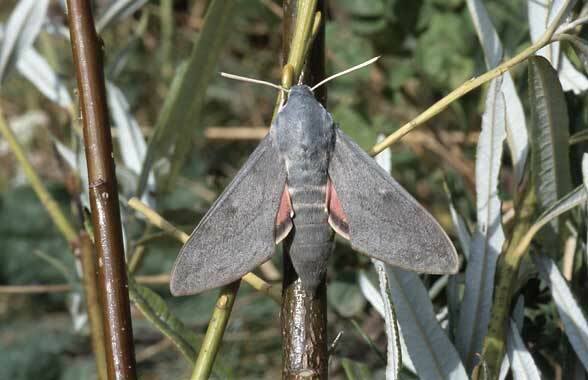 Hyles vespertilio flies in two generations between May and August of which the second is often only partial. 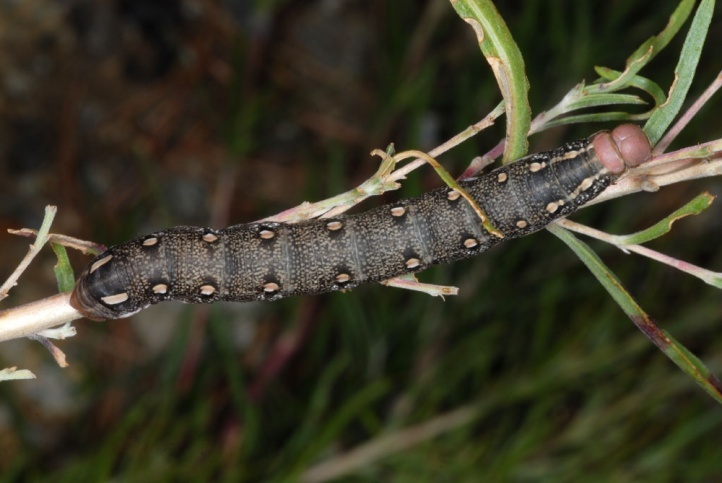 In higher altitudes there is mostly only one Generation with adults in June and July. 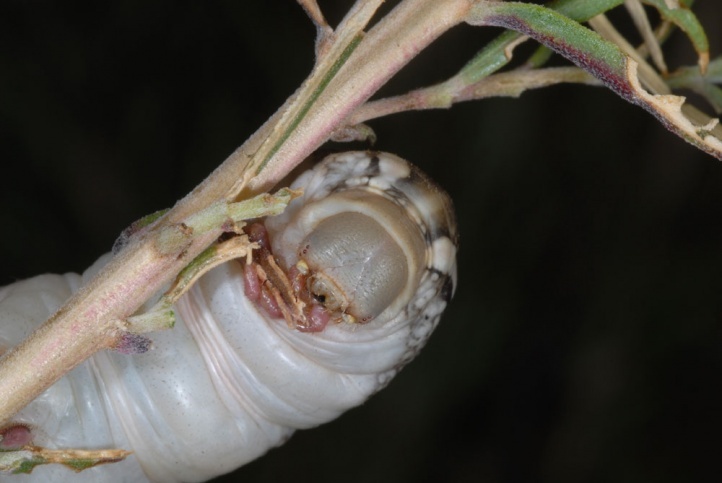 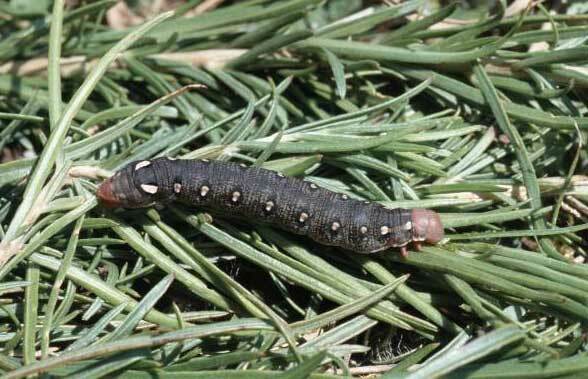 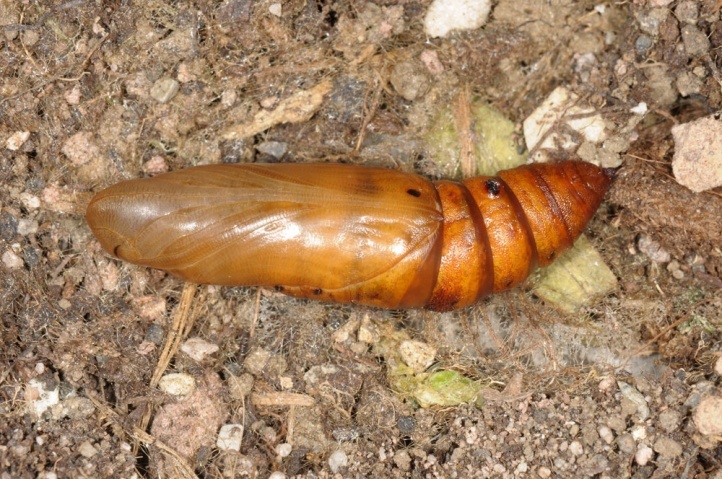 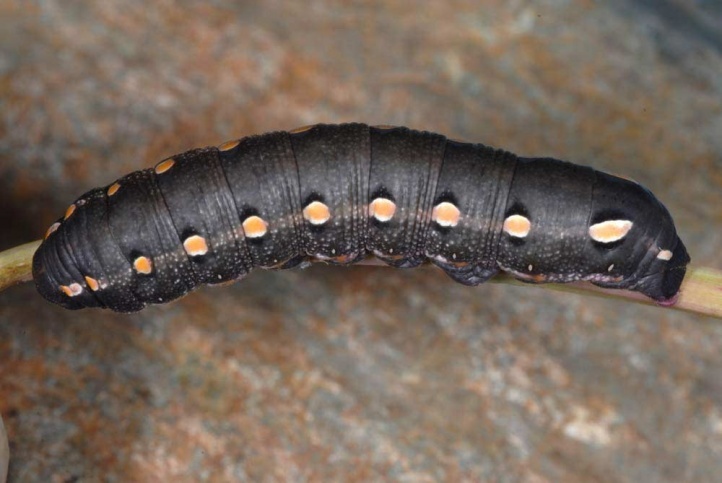 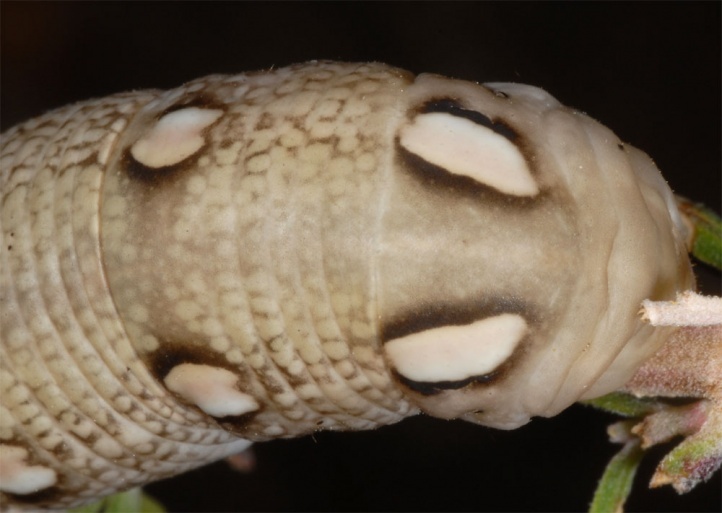 I found larvae in all instars and eggs quite common in the Rhone Valley in Valais in July and August 2003. 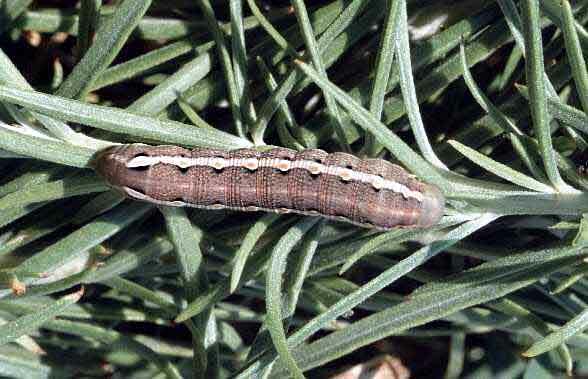 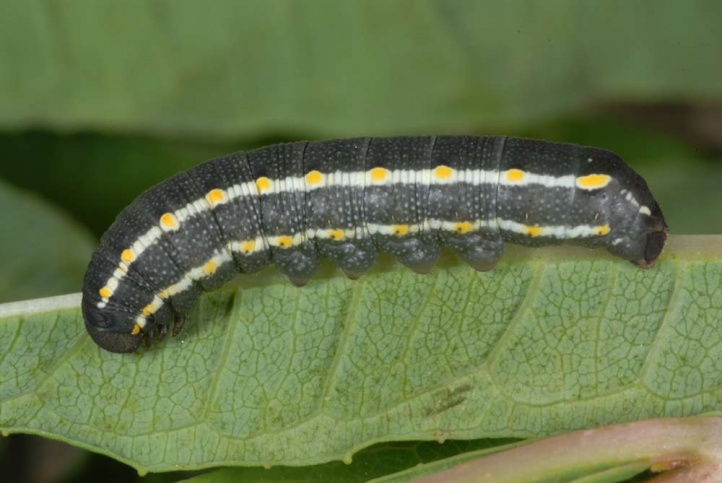 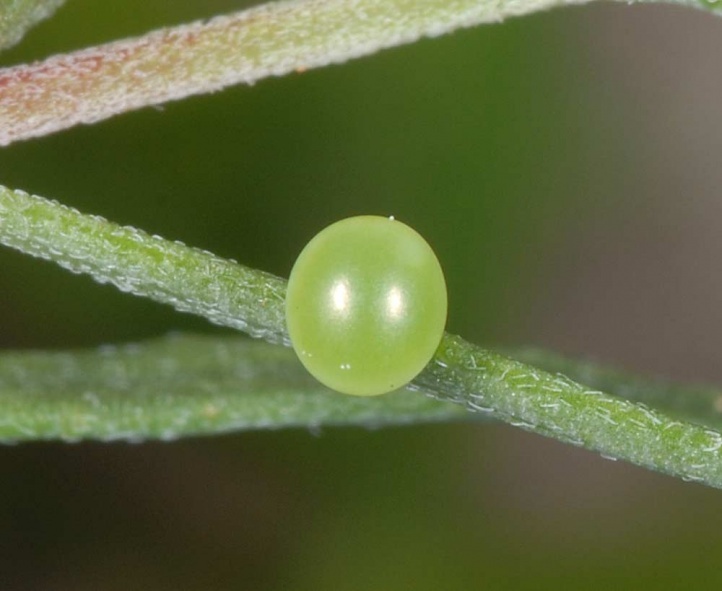 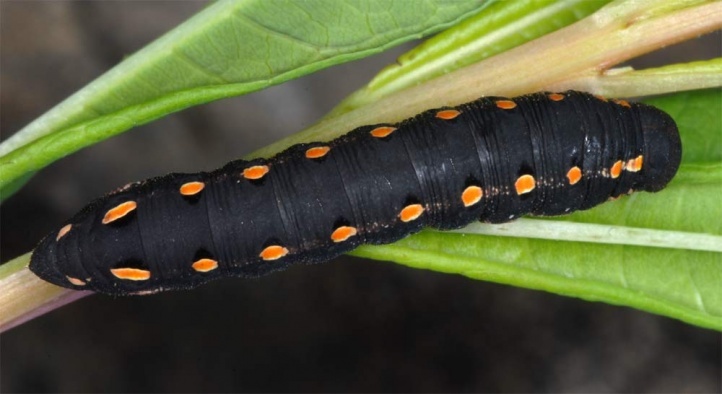 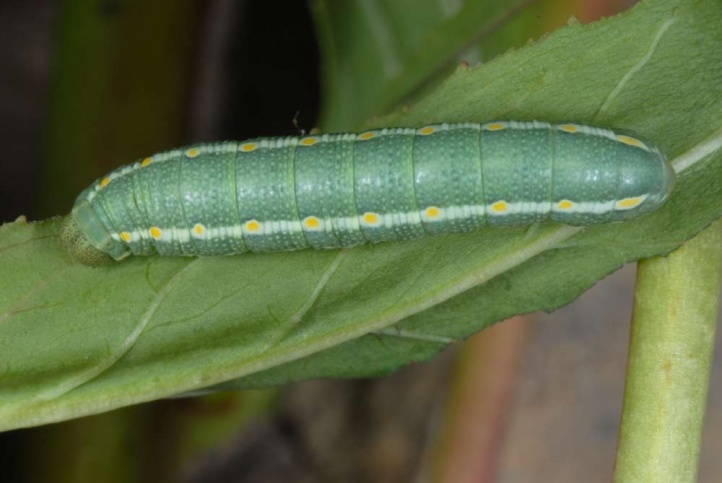 The mature caterpillars hide during the day in shaded areas at the base of their food plants or between pebbles. 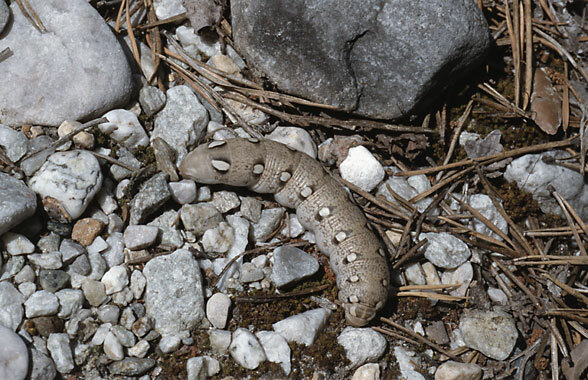 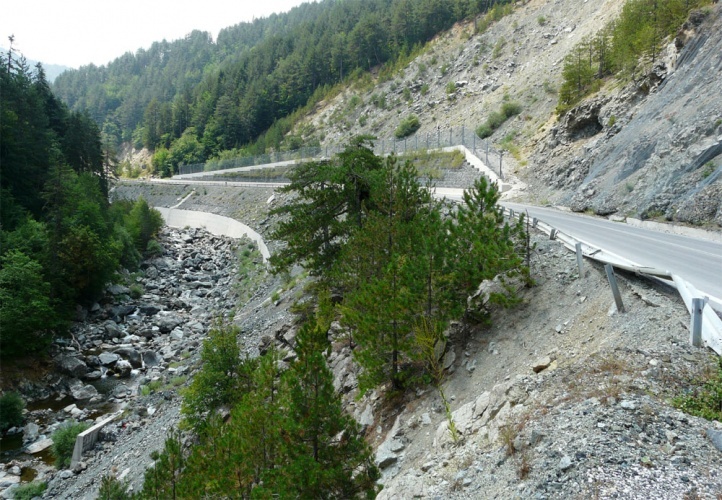 Hyles vespertilio is heavy threatened by the concreting and canalization of the Alpine rivers and large gravel mining. 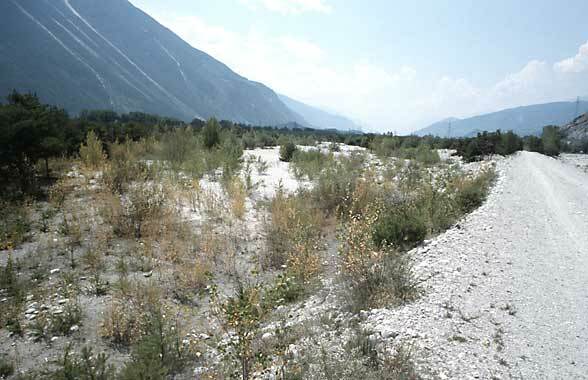 As a result of canalization the former gravel bars are overgrown by bushes. 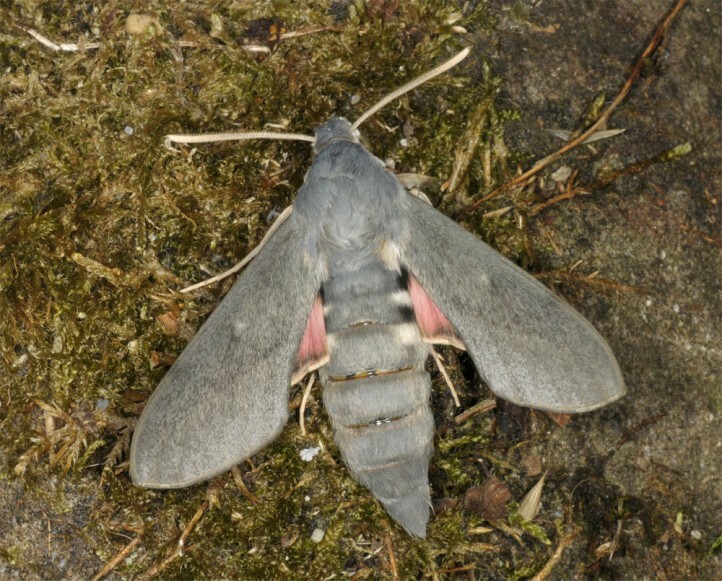 In Germany Hyles vespertilio was recently relegated to a few smallest secondary habitats in gravel pits by the centuries-long transformation of the Upper Rhine prior to final extermination. 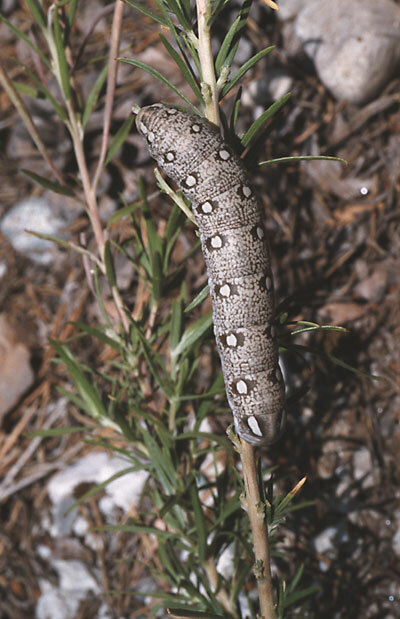 Hyles vespertilio is distributed only locally in the south of France, the Alps (especially the southern and parts of the central Alps), the northern Apennines and the Balkans. 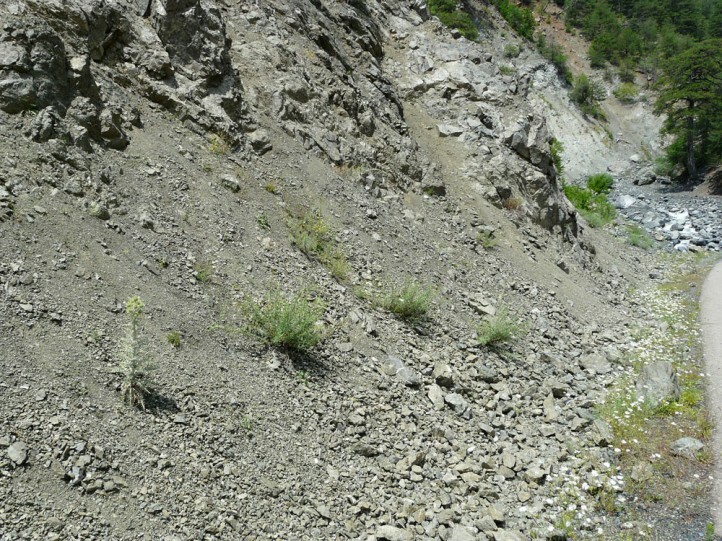 In addition, it is found only from Turkey to the Caucasus.